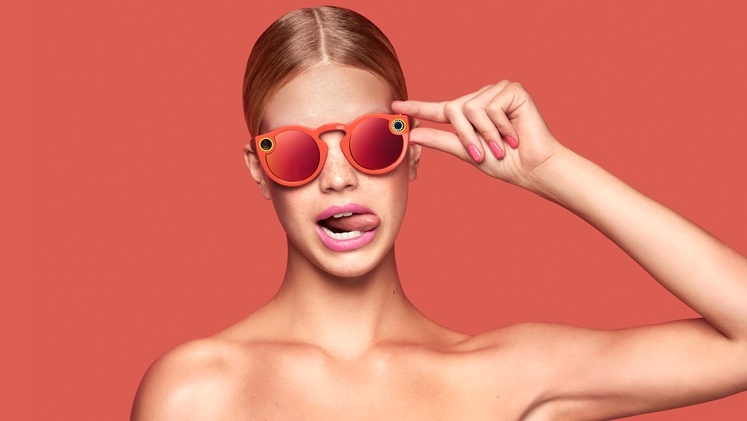 Snapchat Spectacles - a pair of sunglasses sporting a video camera - will launch later this year costing, $129.99. That's the word from The Wall Street Journal, who got all the juicy details of the leaked device after interviewing CEO and founder of Snapchat Evan Spiegel. Or, rather, the CEO and founder of Snap Inc - which the new company name. "It's one thing to see images of an experience you had, but it's another thing to have an experience of the experience. It was the closest I'd ever come to feeling like I was there again," explained Spiegel, when talking about wearing the clever specs on a recent vacation. "When I got the footage back and watched it, I could see my own memory, through my own eyes - it was unbelievable." He's obviously never used an Autographer or any other life-logging camera. When Google put a camera on the front of a pair of glasses it was considered creepy, a security threat and a massive invasion of public privacy. Snap Inc, however, will no doubt get away with it because the yoof will think it's sick. The Spectacles record 10 seconds of (circular?!?) video from the wearer's perspective using a 115-degree-angle lens and the videos sync with your smartphone so you can easily share them as Snapchat Memories. It's one size fits all and they will be available in black, teal or coral.